AC/DC ADAPTERS INCLUDED: The Cooluli Cooler & Warmer comes included with AC and DC power adapters – Easy to go from indoor 110V (AC) to car use by plugging the appliance into the car cigarette 12V (DC) adapter. The AC wire is 6 ft. long and the DC wire is 6 and a half ft. so finding an outlet won’t be a problem. Also great for use on boats, RVs and while camping or picnicking. THERMOELECTRIC COOLING SYSTEM: Thermoelectric cooling shouldn’t be confused with refrigeration. 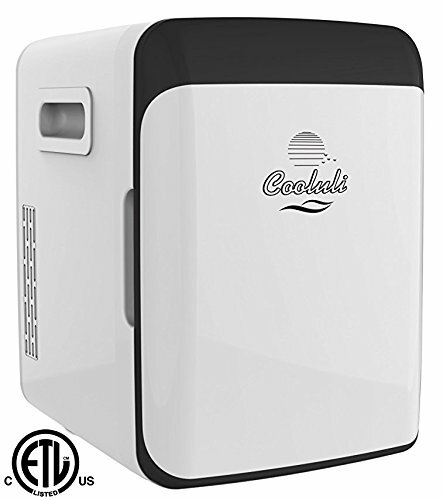 Instead of blowing Freon with a fan (refrigeration) the Cooluli Electric Cooler & Warmer blows air from the metal inside to the outside with the help of an electric fan. This means the cooler/warmer is 100% safe and Freon Free. Since thermoelectric cooling works without refrigerants the Cooluli Cooler & Warmer is also environmentally friendly! DUAL CHARGING OPTIONS: Our thermo cooler warmers come with a wall cable + a car charger adapter, allowing you to power it on whenever & wherever you please. Put it on the deck/patio & then take it on roadtrips. 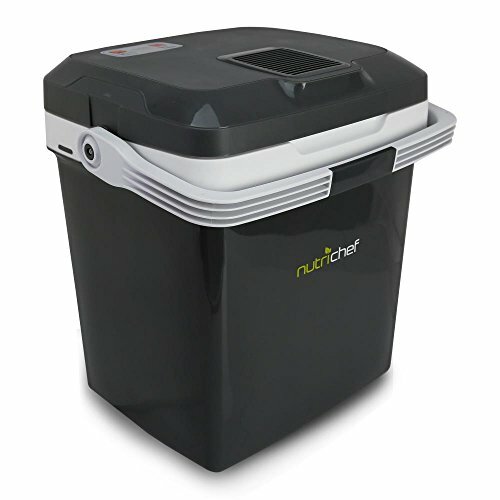 UPGRADED TECHNOLOGY: Equipped with an LCD display screen, a digital control panel & a USB port for charging your devices, this really is the #1 electric cooler & warmer of the modern age.